The first time Jonathan Cheng went to the ski resort of Niseko in northern Japan, he saw potential. That was 10 years ago, and Cheng’s initial ideas were put on the back burner. But when he returned to the area in 2016 and saw how Niseko had grown in the years he’d been away, he knew that it was time to turn ideas into actions. A career in private equity had taught Cheng to identify a good investment, and though real estate hadn’t always been the direction he thought his career would go in, it seemed like the right path in this case. The first project had grown from a gut feeling, but years of work in finance — and particularly starting up new enterprises — had adequately prepared Cheng for the challenge. Cheng discovered that Niseko was — and continues to be — on the rise, and not only as a ski destination. It’s become a winter wonderland where people go to enjoy the magical scenery, dining and shopping. Increasingly, it’s also becoming a year-round destination where during the warmer seasons, known as the green months, visitors can enjoy the region’s natural beauty and all the other outdoor activities it has to offer, from cycling and hiking to golf and white-water rafting. 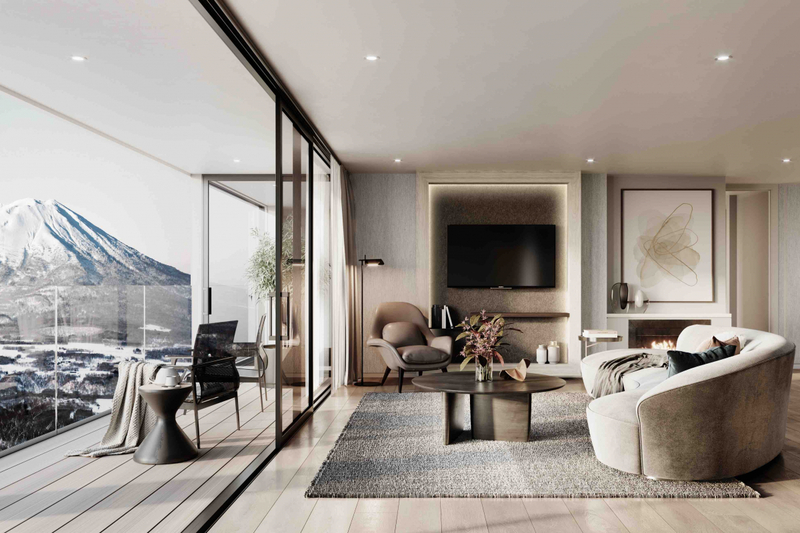 Infinity Capital Group’s Niseko projects provide residents with a prestigious residential experience, come snow or shine. Each one comes under the TELLUS brand, named for the earth-mother goddess of ancient Roman religion, indicating celebration and protection of nature: in this case, Niseko’s stunning natural beauty. Additionally, the geometric logo of TELLUS’ branding resonates with the patterns and designs found in the arts and crafts of Hokkaido’s indigenous Ainu people, representing a tribute to local culture. Current projects include TELLUS Niseko, a hotel/ condominium where every unit is complete with a private onsen and each owner can claim a private wine cellar in the basement; and TELLUS Villas, which offers the chance to own prime land in Hirafu village with unblocked views of the Fuji-like Mount Yotei and a private onsen in the residence. “We try and ensure the projects that we take on are able to deliver these unique propositions,”says Cheng. The third TELLUS project, a luxury resort currently in the planning stages, will be just as desirable and will be the group’s largest to date. This forthcoming development will incorporate Michelin-pedigree dining, a luxury spa and top-end retail, not to mention daily housekeeping and a 24/7 concierge — two amenities that are not the norm in Niseko. Niseko currently lies at the heart of Infinity Capital Group’s business, but Cheng, who works between Australia and Hong Kong, where the company is based, travels extensively. He’s working on other projects, citing projects in Australia and Thailand, and plans to expand to other parts of Japan and to Hong Kong. All will, no doubt, be the products of Cheng’s strong credentials and well-honed business acumen. Find out more at infinitycapital.hk.